No two people relax and entertain in the exact same way. Why should you be forced to structure your lifestyle around a single, pre-defined piece of furniture? Yet all too often, you find yourself organizing your lifestyle to fit into an existing storage unit or entertainment center. 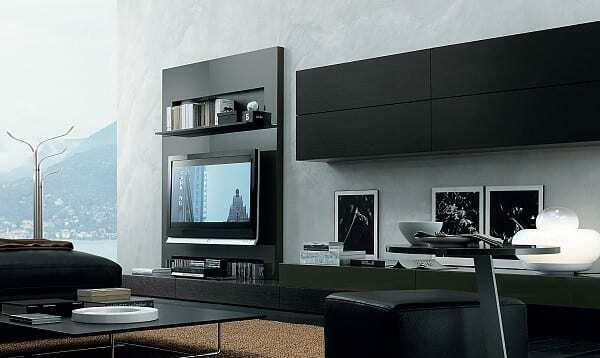 The Centro Ricerca Jesse is reversing that scenario with the Open System wall units and giving you the ability to design your living room around the way you use it, not according to a traditional standard. 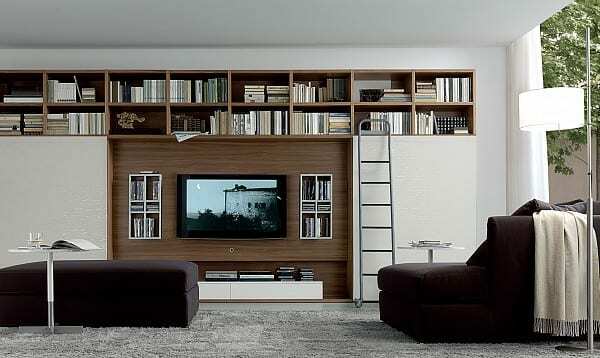 The Open System wall units by Jesse are a freeform concept that lets you control the amount, placement, and type of storage in your living room based on the things that are important to you. Do you have an extra large flat screen television? No problem. 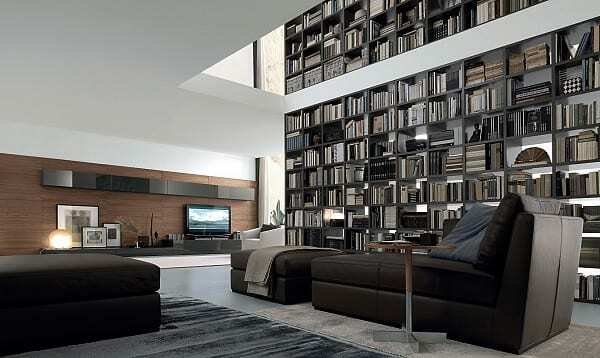 Are you an avid collector of books, or a gamer with multiple consoles? The Open System wall units adapt to accommodate not only the amount of space you have, whether its an entire wall or just a small corner, but also the types of belongs you want to organize and display. Closed cabinets, floating shelves, and all sizes of television consoles are just some of the ways you can construct an entertainment system that works for you, not the other way around. Stop trying to arrange your electronics and collectibles to fit someone else’s mold and use Open System wall units to design a custom space with a place for everything. You can relax and entertain your way thanks to the options from Jesse. 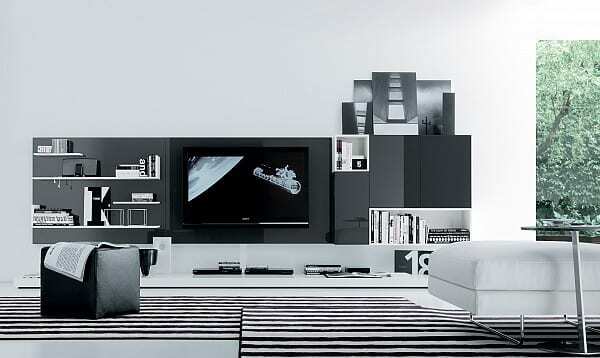 What kind of wall unit will you dream up?